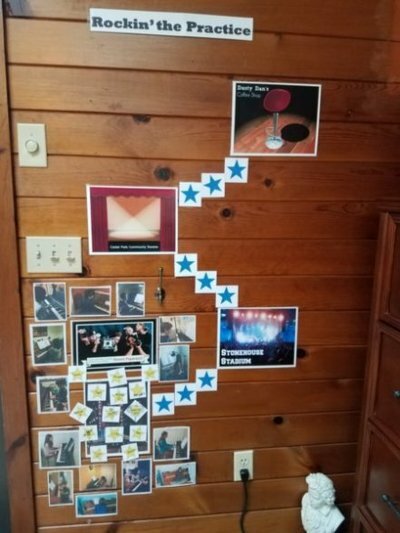 Each week, students earned a gold coin to put in their treasure chest on the wall, as seen below. 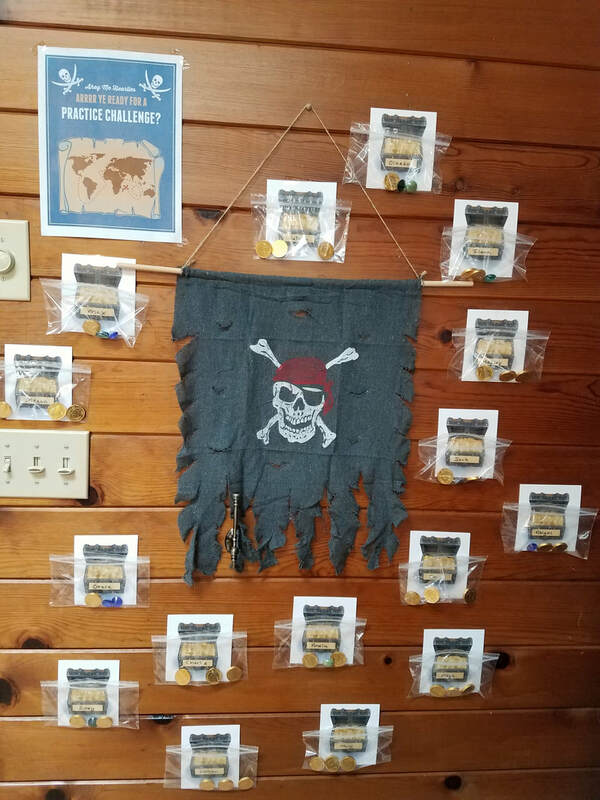 At the end of the three week challenge, students who collected all three coins earned their own treasure chest full of loot as a reward! We had a 100% completion rate this year! Way to go, everyone! We rocked the practicing this year with our practice incentive event! 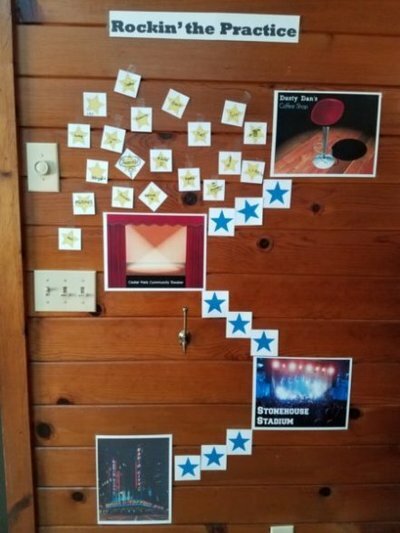 After completing each weeks' task, the students moved their star to a different location; starting from a humble coffee shop and ending up at Radio City Music Hall! 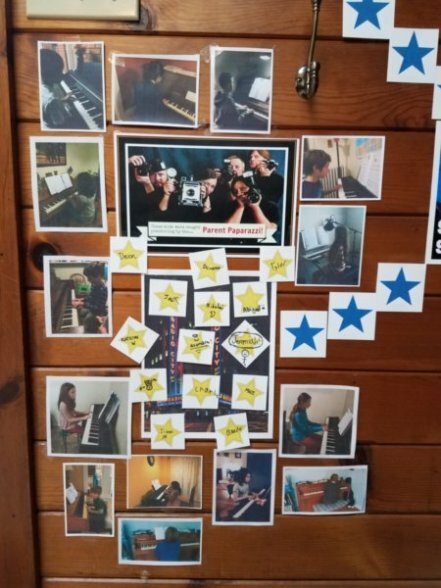 Once they reached the final week, the "Parent Paparazzi" caught pictures of each of our rock stars practicing at home, which we posted on the Wall of Stars. Each student who completed all of the tasks earned a rockin' prize for all of their hard work! 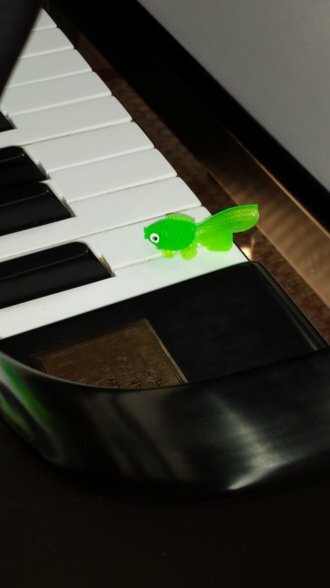 This year's incentive program was called E-FISH-ent Practice! For three weeks, students were sent home with practice challenges. 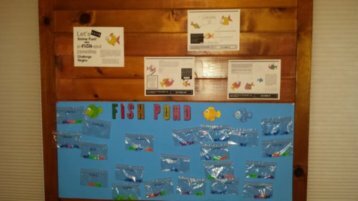 For each sheet that was completed, students got to add a fish to their baggie in our studio "Fish Pond." If, by the end of the event, they had 3 fishies in their bag, they earned a prize. 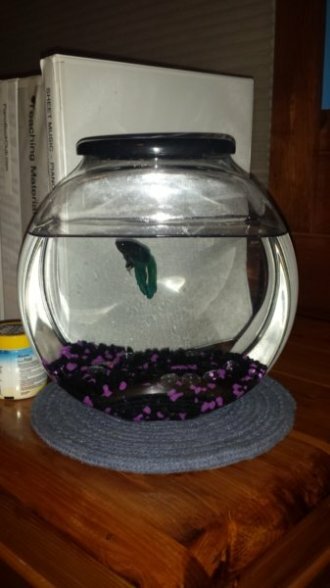 They were also entered into a drawing to win the grand prize - a real fish in a bowl! Congratulations to Carson who was the winner of the fish! All students who freed themselves from WANTED status by completing the 4 week program earned a Reward, and their name was also entered into a drawing to win one of two grand prizes. Congratulations to Caroline who won an iTunes gift card, and to Tyler who won a gift card for movie tickets! AAA State of Play - A Musical playground for kids! Note Rush ($3.99) *We use this in lessons, and students love it!